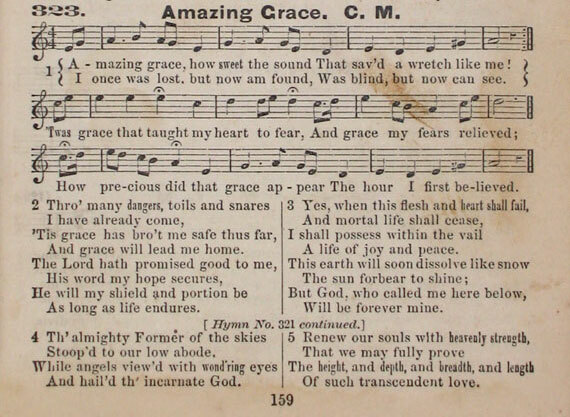 In The Revivalist, 1872, Joseph Hillman set "Amazing Grace" to this folk-hymn tune. The same pairing of tune and text appears in The American Vocalist, 1848, and in the Adventist Jubilee Harp, 1874. 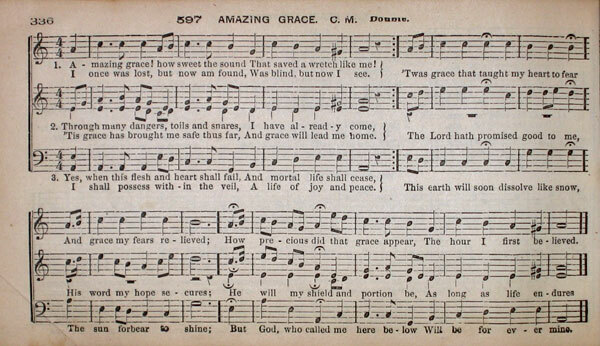 The tune is named AMAZING GRACE in all three publications. In the recording I took the liberty to convert the G sharps to G naturals. The G sharp was probably inserted to satify the "scientific" sensibilies of the era. I think I'm on pretty safe ground to speculate that the average person who sang this tune would not have sung it with a raised leading tone.